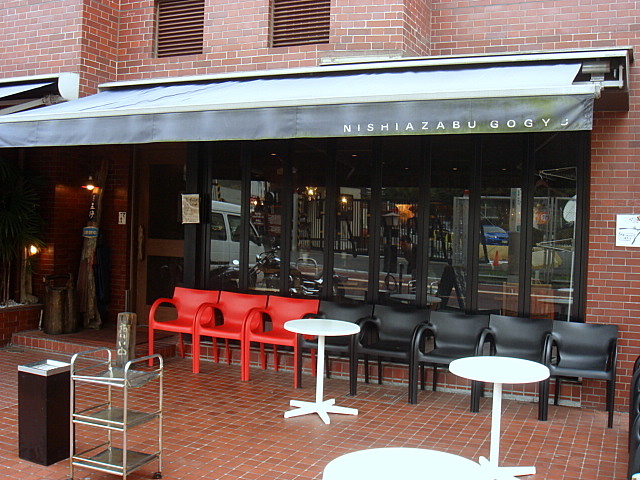 From the company that brought us Hakata Ippudo and the Shinyokohama Raumen Museum, Gogyo is a modern version of the ramen-ya, incorporating a full bar and a trendy relaxing atmosphere. 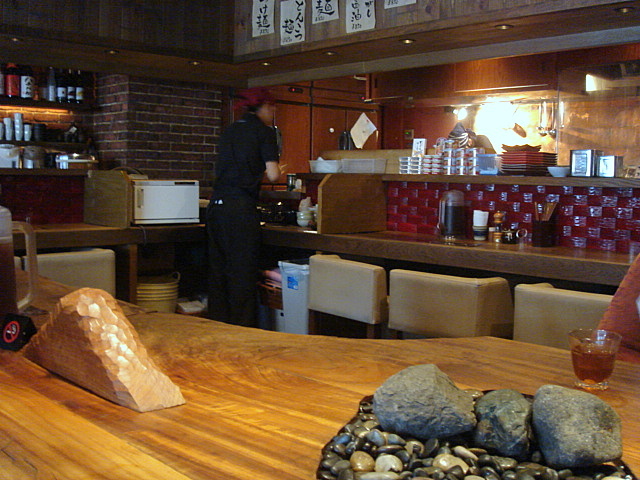 It’s a great place to enjoy ramen after a few drinks or with a few drinks. 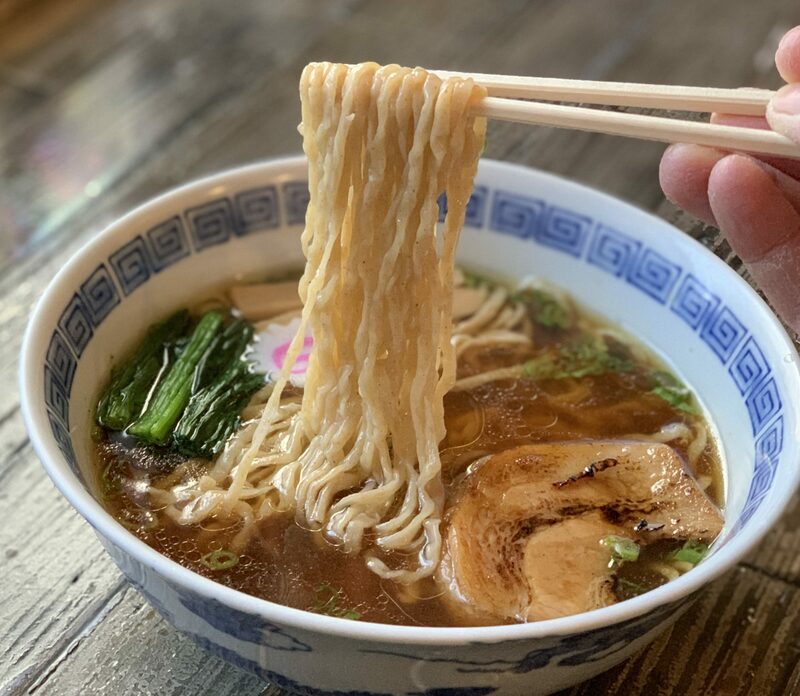 The fireball in the picture below is the ramen’s secret ingredient. 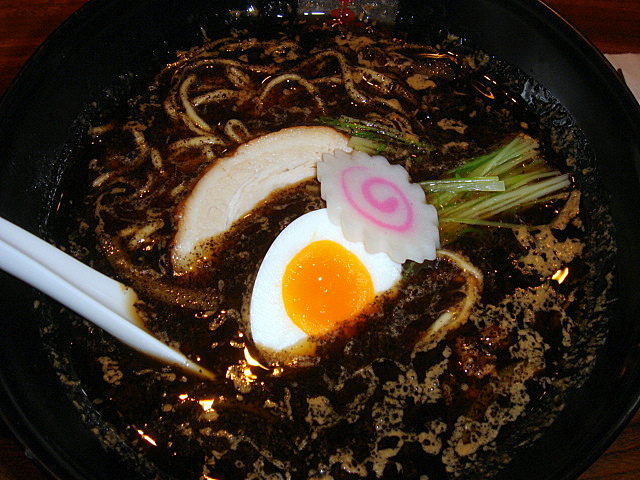 Kogashi Miso-ramen: The blackest ramen I’ve ever seen! It’s as if someone just threw noodles in mud. 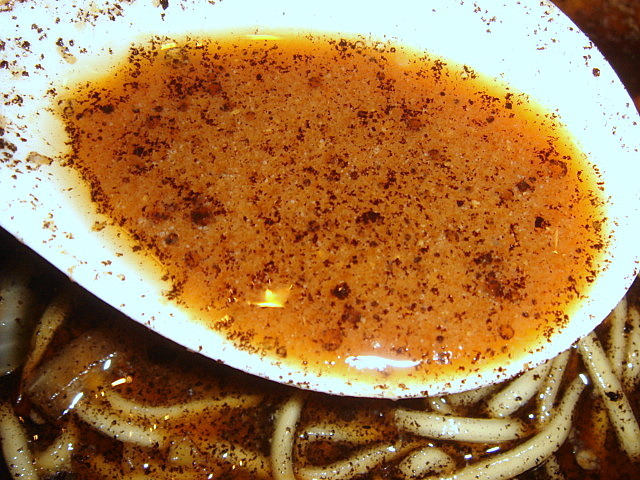 Apparently they char the miso, creating dirt-like particles, before mixing it into the soup. 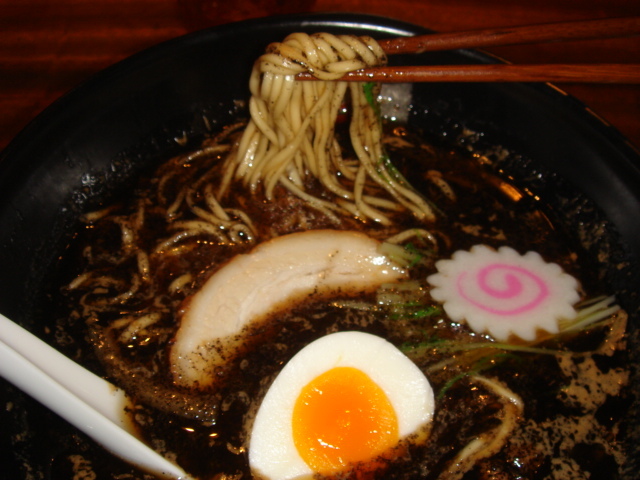 A truly unique ramen! The soup had a strong onion miso flavor that did not disappoint. The toppings (egg, chashu, negi, and naruto) marinated with the soup perfectly. The noodles were thin and straight, with a slight crunch. Very close to the perfect slurp. An up close look at the dirt-like particles. The black bowl makes the soup look blacker than it actually is. 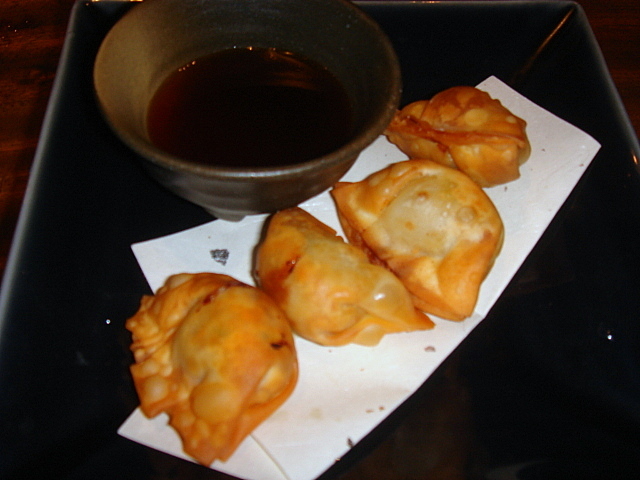 The gyoza were surprisingly fried and popcorn-like. They were very tasty but just average overall. I think they should stick with the theme and make them look dirty like the ramen. 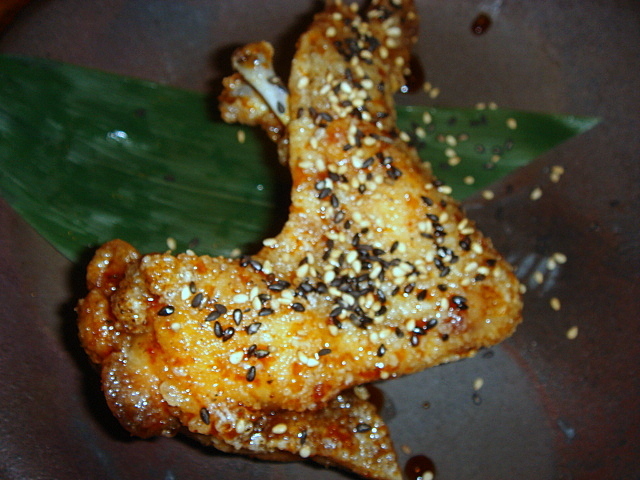 The teba-saki is just one of their many non-ramen dishes (izakaya-style) to order while drinking. I’m not usually a miso fan, but *that* looks good!